With great pleasure, we would like to invite you to the event “Global Festival of Learning”. 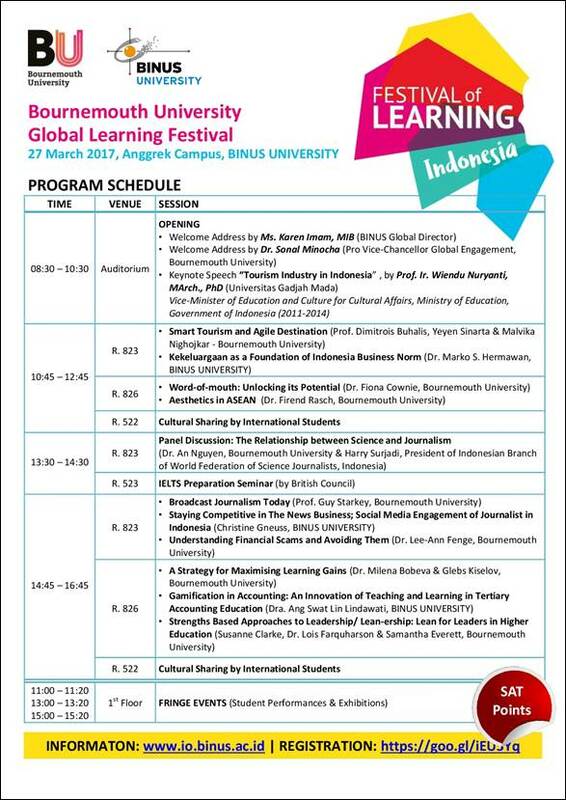 This event, runs in partnership between Bournemouth University and BINUS UNIVERSITY, showcases the expertise of both institutions through interactive sessions and cultural activities which cover the topics on tourism and business, marketing, science and journalism, social interactions and leadership and innovative learning. For further information kindly download the flyer in this link: https://goo.gl/bSIv8K. Note: The students will get SAT points of 7 and international experience.